Popular aparthotel from StayCity which opened in 2014 next to Deptford Bridge DLR station and just a mile from maritime Greenwich. 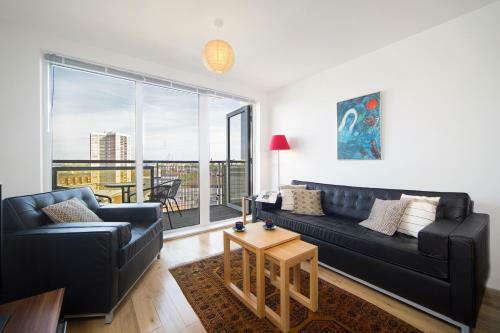 Each of the modern, purpose-built apartments has a bright, stylish decor. Studio and one bedroom options are available, each with its own attractive bathroom and well equipped kitchen area. One bed apartments also have a sofa bed so can accommodate up to four people. 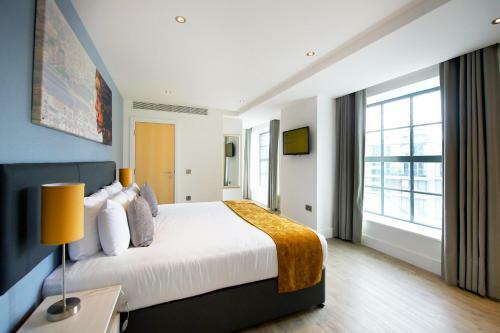 Other facilities here at StayCity Deptford Bridge include an on site gym, vending machines, and a coin operated guest laundry. For services to Greenwich, Canary Wharf and the City. Independent shops, restaurants and traders in characterful railway arches. Local authority-run swimming pool and leisure centre.